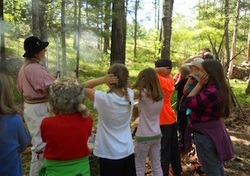 To schedule a School Field Trip call us at 715 866-8890 or email us using the form on the right. 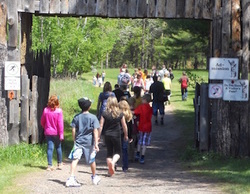 A Special school tour will take place on Friday, May 25, 2018, preceding our spring Opening Weekend, with demonstrations of primitive skills and camps that take place along with shorter tours of the historic site and Indian Village. 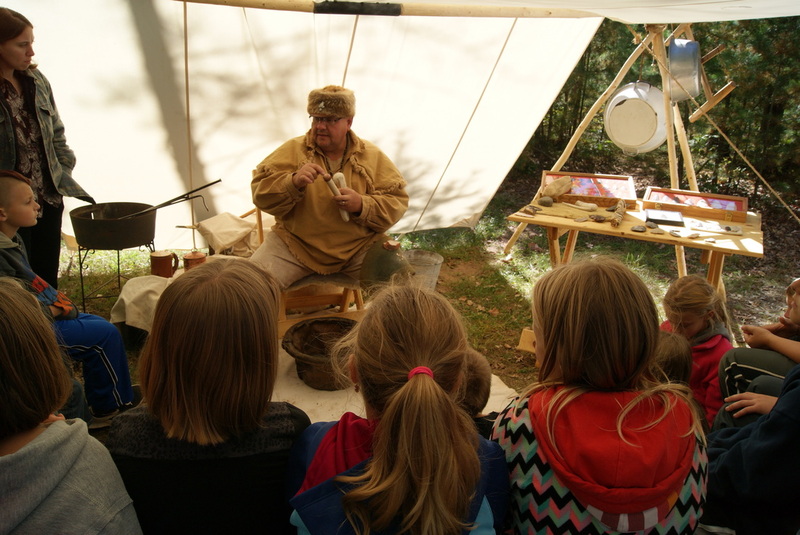 A special fall event for schools will be held Friday, Oct 5, 2018 preceding our Oct 6 "Dagwaagin Gabeshiwin" which is Ojibwa for Fall Encampment, This event features re-enactors demonstrating flint knapping, black powder shooting, rope making, and more - think of it as a junior Rendezvous - along with shorter tours of the historic site and Indian Village. 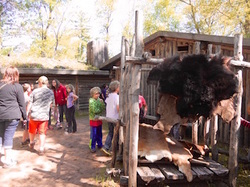 "The Best School Day Ever"
The North West and XY trading posts, and the Ojibwe Village constructed at Forts Folle Avoine are accurate depictions reflecting the close relationship that existed between the European fur traders and their Ojibwe trading partners who operated here between 1802 and 1805. 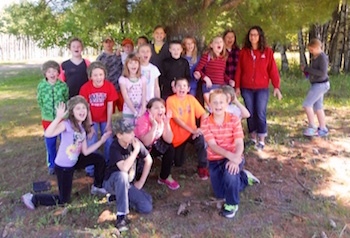 School Field Trips usually take about one-and-a-half to two hours. An additional hour might be needed for bag lunches, viewing the exhibits, or enjoying the opportunity to visit the Gift Shop. 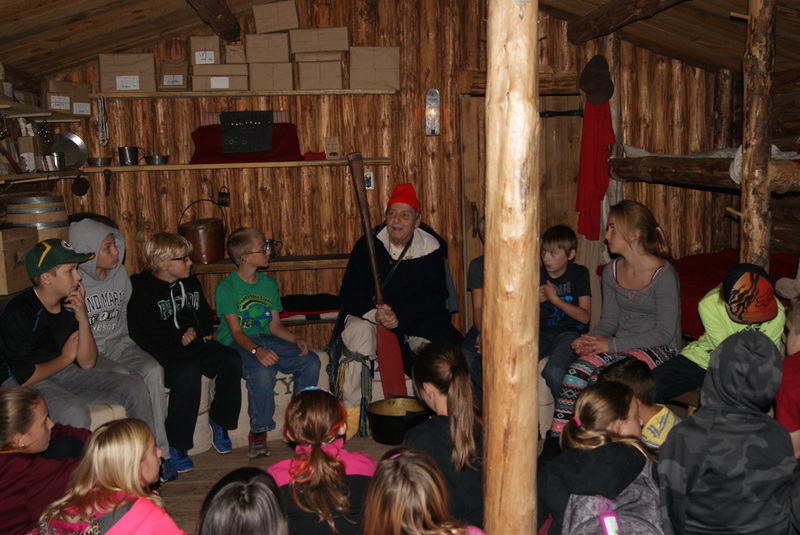 "Thank you for a great day at the Fort! 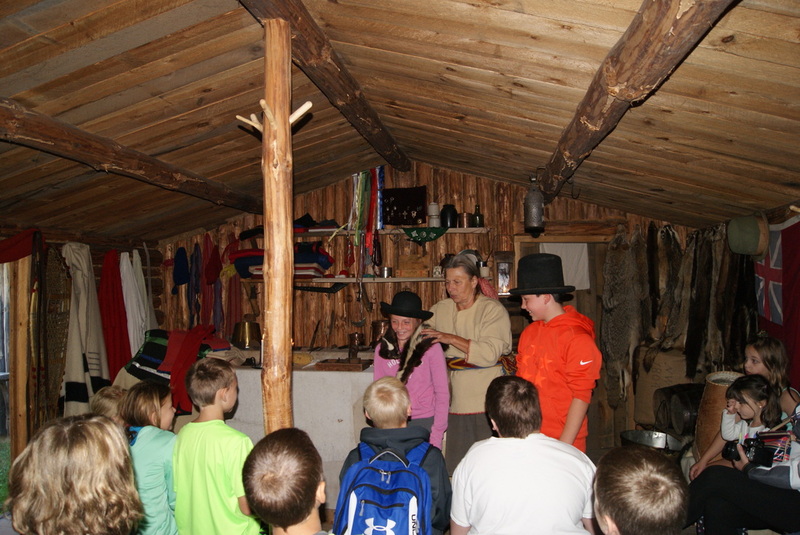 My kids loved every minute of it, and I know the rest of the fourth graders from Amery did as well. We look forward to seeing you in the future."